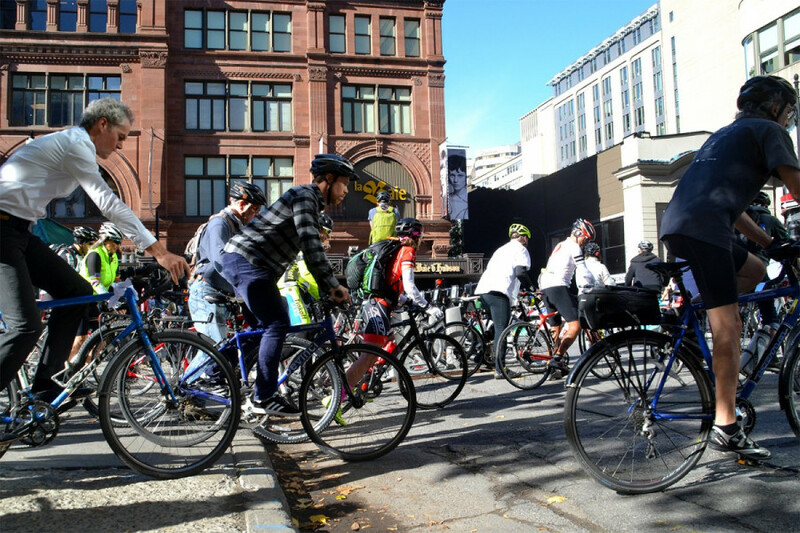 Cyclists came out in numbers to Philips Square Saturday afternoon in memory of riders who have lost their lives on Montreal roads. The objective of the event was also to highlight the need for infrastructure for safer cycling. The route passed in front of several “ghost bikes”—bikes painted white and mounted along the roadside to honour a cyclist that has been killed. The latest of these “ghost bikes” was for 18-year-old cyclist Clément Ouimet, who was killed after colliding with an SUV on Oct. 4. His death marked the fourth cyclist death on the streets of Montreal over the past three months. Along the way, a “die-in” was also staged. Riders lay down, sprawled out in the middle of the road alongside their bikes, to resemble dead cyclists on the streets. 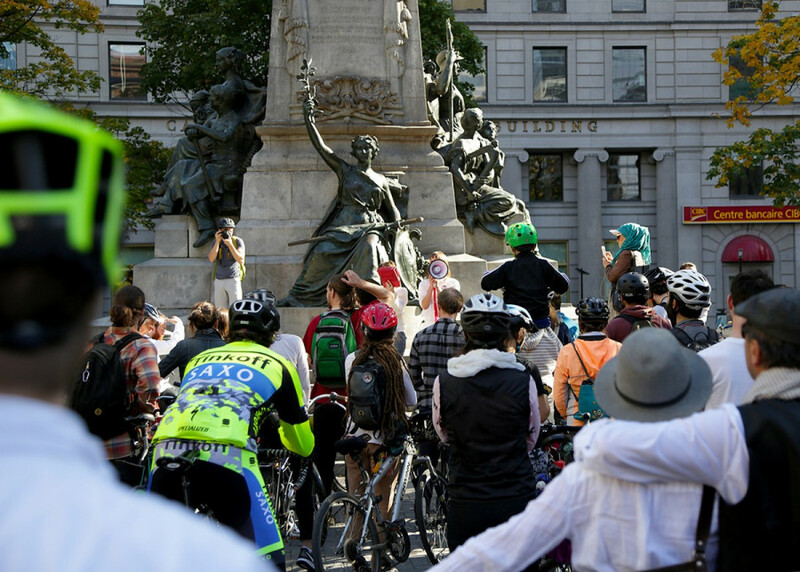 “We hope that this [die-in] will just be a simulation and that we’ll never have to place-up ghost bikes again,” said Gabrielle Anctil of Vélos Fantôme Montréal, who helped organize the event. A number of cyclists at the event said they fear trucks the most. “There is a lot of negligence. […] We get the impression that [truck drivers] don’t care about us,” said Jean-Paul Gagné, a cyclist there. In light of the upcoming municipal elections, organizers of the event said they hope it will encourage whichever party is elected to tighten up on road safety for cyclists. Mayoral candidates Valérie Plante and Denis Coderre have both discussed plans concerning road safety for cyclists. The Coderre administration, on the other hand, has pledged $150 million to be spent on cycling infrastructure, as part of the city’s Vision Zero strategy.